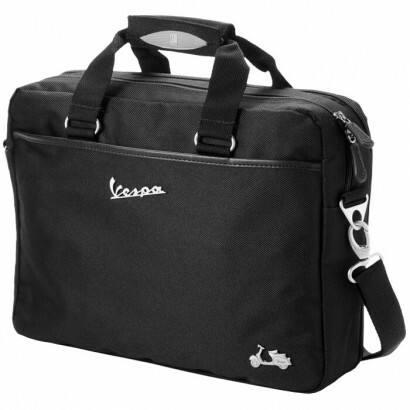 Front zippered pocket with organisation panel, main zippered compartment with 15.4'' laptop compartment and 2 main compartments, a small mesh inner pocket. Back panel designed to slip over trolley handles and zippered pocket on back panel. Adjustable shoulder strap. Exclusive design. Nylon. 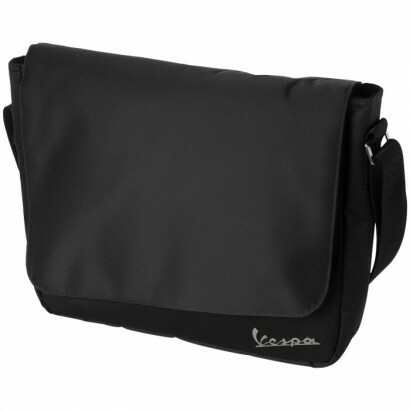 Padded shoulder bag with front zippered pocket and main zippered compartment with accessories to store pens, credit cards and a small zippered pocket. Back slash pocket and adjustable shoulder strap. Can hold a 15'' laptop. Exclusive design. Imitation leather. The design of this exclusive pen set was inspired by the Vespa's twist grip throttle and the tail light of the first '125' model. Vespa's historic colours have been used on the barrel. 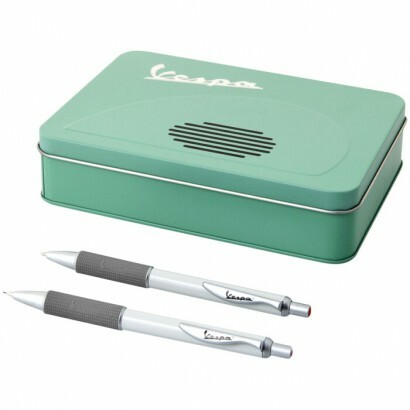 The pen and pencil are presented in a tin Vespa gift box which is the reminiscent of the famous GS side panel. 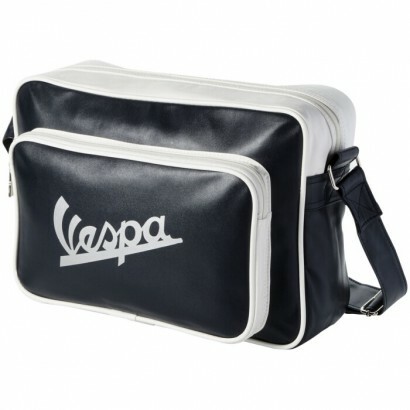 Presented in a Vespa gift box. Exclusive design. Metal. The emblem on the wallet is inspired by one of the most famous images from the Vespa communication campaigns. 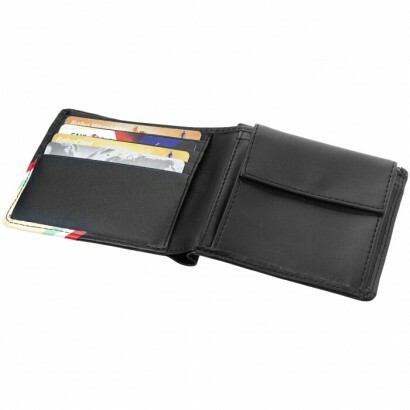 The wallet has a pocket for coins, 4 credit card inserts and space to store paper currency. Presented in a gift box. Exclusive design. Eco-leather.